Former UFC light heavyweight champion Lyoto Machida has confirmed that his next bout will take place against another former champion in Quinton “Rampage” Jackson. Like Jackson, Machida also used Twitter to announce his next Octagon tussle, but he took it one step further by actually saying who it would be against. “My next fight is confirmed and it’s gg to be against Rampage,” the Brazilian tweeted. Last week, Jackson tweeted that he was in the process of signing the contract for his next fight, but wouldn’t spill the beans about who he’d be standing in the cage with. “Almost ready 2 sign the bout agreement! i would tell yall who im gonna get down with,but i cant spell his name….hahaha,” Jackson said on his twitter account. Unfortunately neither Jackson or Machida have been able to nail down an official date, but “The Dragon” did mention that it would most likely go down at the end of 2010. “The date isn’t confirmed yet, but it’s probably gg to be in the end of the year,” Machida wrote. Both fighters are coming off of a loss and are desperate to get back in the win column to maintain their positions within the 205-pound division. 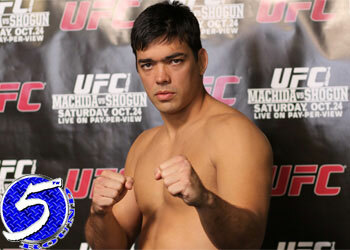 Machida suffered his first loss as a professional back at UFC 113 when Mauricio “Shogun” Rua put him to sleep and took his UFC title in the process, while Jackson was easily outpointed by Rashad Evans at UFC 114. MMAWeekly.com is reporting the two could meet in the Octagon in November and that the likely destination would be somewhere in the U.S. and not Germany.